Alexander Square project located in the most prestigious area of Limassol, 200 meters away from the beach, 5 star hotels and amenities. 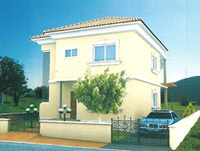 The project consists of five 2, 3 bedroom town houses and six luxury villas. All townhouses have garden area. All have parking place. Quality materials will be used throughout, giving an outstanding finish to the houses. Alexander Square provides the excellent opportunity to build the villas to your own specifications and requirements (only 100 meters from the best beach of Limassol). This small and exclusive development is an ideal choice for investment or permanent living with a high demand for rent and steady evaluation. 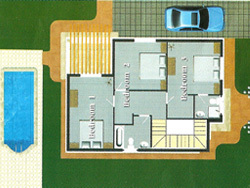 The semidetached block houses located in the residential and quite area of Ayios Tychonas area with all facilities and amenities nearby, less than 200 meters from the Limassol sea. The project consists of 5 houses with perfect functional layout and architectural study.